This FAQ is broken into two parts: strategy questions and other questions. How should I adjust the RFI ranges when there is one or more limpers? 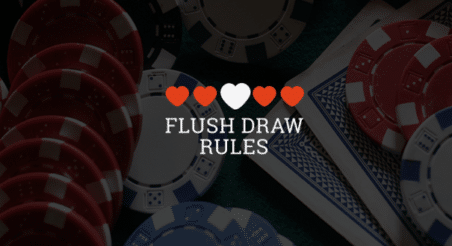 In theory, you should play tighter when a player limps because your fold equity goes down. If the limper is a weak player, however, you can play about the same, if not slightly looser depending on the weak player's specific tendencies. Read this article for more info on this. If you play live, you can find vs limper ranges in the Live Poker Preflop Chart Viewer in the Lab. When there are multiple limps in front of you, you should almost always play notably tighter and raise to a bigger size. Raise to 3bb + 1bb for each additionally limper. For example, if 3 players limped, you would raise to 6bb. Why is my c-bet frequency low after using the strategy taught in the early modules? Your low c-bet frequency is a temporary cause of using the 4 category system. The idea behind the 4 category system is to teach you a simple way to play a balanced strategy. This is then your foundation as you improve and start to implement the more complex concepts and strategies in the later sections of the Lab. These complex concepts and strategies are covered in the Beyond Core Strategy section of the Lab, specifically in the "When to C-Bet Everything" module and many of the subsequent modules. If your low c-bet frequency concerns you, it might be a good idea to skip ahead to these advanced modules. How should I adjust to crazy live games? This question refers to those special live games in which players limp a lot, raise to big sizes, play weird ranges, and just play generally crazy. The answer is to play tighter, raise to larger sizes, and prepare yourself for some variance. These are the games in which you will have some of your biggest winning and losing sessions, so stay focused and try to make it a winning one. Should I be concerned about my non-showdown winnings (red line)? You shouldn't worry too much about your red line, especially at micro stakes where the rake is heavy. In certain games, it's actually correct to have a losing red line because it will result in more overall winnings. To use an extreme example, if your opponent had a 0% fold frequency on every street, you would have a big losing red line because you never win the pot before showdown. But you should have no problem beating that opponent overall by value betting against him, which raises your blue line and, more importantly, your green line. The only parts of your graph to worry about are your winnings (green line) and your luck-adjusted winnings (brownish line). How can I randomize the frequency of my plays? First off, it should be said that mixed frequency plays are an advanced maneuver. If you're relatively new to poker, don't worry about this yet -- you have more important and consequential things to learn. Use a random number generator. You can find a bunch of these with a Google search. Look at the second hand of a clock. For example, if you wanted to make a certain play 33% of the time, you could make that play when the second hand is in the first third of the clock (like between 12 and 4). Look at the orientation of the face of a chip on your stack. This works similarly to the clock. For example, if you wanted to make a certain play 25% of the time, you could make that play when the chip is oriented between what would be 12 and 3 on a clock (see picture below). What poker site should I play on? Note: The info below is subject to change. Check PokerScout for up to date info and smaller sites. What is the range software with many different colors used in the Lab? If you're looking for the color functionality, you can also try Power Equilab ($5/month with different plans available). If you don't need the color functionality, you can just use Poker Equilab (free). Are there any poker books I should read? Only 2 poker books are worth reading according to the Upswing coaches: Applications of No Limit Hold'em and No Limit Hold'em for Advanced Players, both by Matthew Janda. If we had to choose one, we'd say you should read No Limit Hold'em for Advanced Players. How do I know who's opinion I should trust in the group? This is a great question because, while there are a lot of great players in the group who answer questions, all members are free to share their opinion so you certainly can't treat every comment as fact. When it comes to judging the validity of comments, like other forums, you sort of have to feel it out and critical think about each response, at least when you're new. You'll catch on pretty quick who deserves to be listened to. You'll find the quality of discussion in our group much higher than most public forums, especially when you stumble upon the really high value conversations between our strongest members. Quick tip: when you find a particularly knowledgeable member,, you can use the search filters to find other comments and posts from them. You can do this with coaches too so you don't miss any of their comments. I want to get a solver - which one should I get? Most members and poker players use PIOSolver, which is very advanced and fairly expensive software. If you want a cheaper and more user-friendly option, you can try GTO+.